Who's gonna argue? 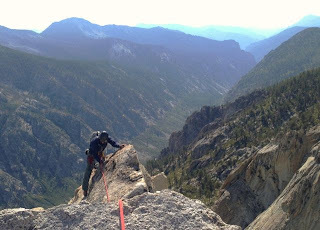 The South Face of Charlotte Dome presents impeccable moderate climbing, long pitches, and enough of them to make it more than worth the scenic walk. Charlotte Dome starts as a speck on the horizon. With each step it looms larger. Art F on the "trail". Speaking of the non-climbing experience, the traditional and best approach is a beautiful walk through backpackers' paradise. 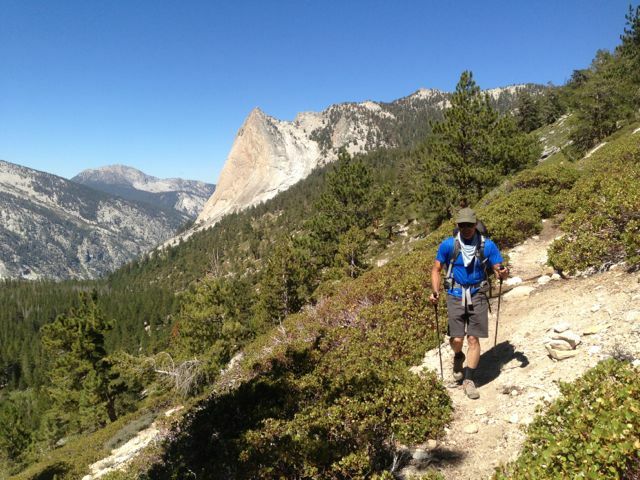 A high pass, beautiful, warm-watered lakes, biomes from Eastside desert to lunar high country to Westside manzanita scrub, and gradually thinning crowds enhance the athletic climbing portion. The latter portions of the "trail" are undeservedly maligned for brush and route-finding difficulty. The truth is, enough climbers (and off-trail backpackers: just google "Gardiner Pass" and see countless reports of adventurous hikers' trips through the zone) tromp in there that the route is clearly defined, well-trodden, and almost-a-trail. The camping right close to the dome is unparalleled. Charlotte Dome sits in the convergence of three classic hanging valleys, with more visible across Bubbs Creek. 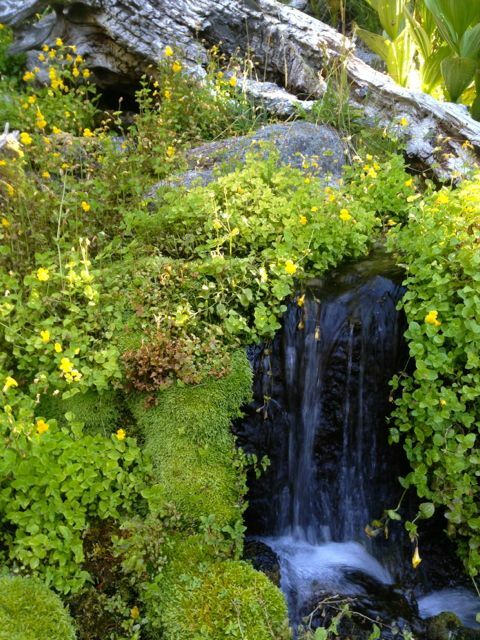 A small creek drains the south side of Mt. Gardiner. Up out of sight, this creek disappears dramatically into a flat sandy zone. Just before the topography plunges to Charlotte Creek, the creek resurfaces in an idyllic oasis immediately adjacent to perfect flat campsites. Charlotte Camp's Disney-quality spring. Where are the frolicking gnomes? Gardiner's south creek plunges over it's hanging wall to Charlotte Creek, which in turn drops to Bubbs Creek. This leaves Charlotte Dome and the convenient camping perched well above the canyon bottom. On route, in Art's words, "the rock seems made for climbing". Cracks, holds, friction abound. When the terrain kicks back, the holds get smaller. 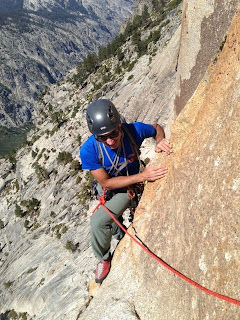 Where the rock is steeper, the holds are huge. Climbing basically never drops below 5.6 and certainly never rises past 5.8. Featured, bomber rock. It's almost like a cliche. Pulling out of the steeps into yet another comfy and exposed belay ledge. About halfway up, Art glances back and involuntary exclaims "We're really f***ing high". All in all, Charlotte Dome's a perfect experience. The classic three-day itinerary from the East is head-and-shoulders above any other way to do it. However, there are more ways than one to skin this cat. Other ways I've done the Charlotte Dome thing include, from Road's End on the west (twice, and not recommended...), on skis in April (totally bitchin'! 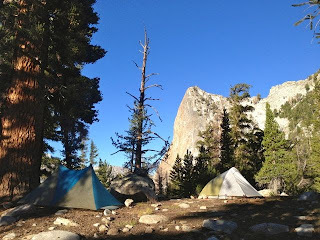 ), from a camp at Charlotte Lake (in order to leave time on the exit for a University Peak attempt), and via 6 passes and Sixty Lakes. Be creative, it pays off. Or follow the formula and you won't be disappointed. Charlotte Dome is so good! The best though? The Incredible Hulk has better routes arguably, though quite a bit harder. The best of similar technical grade? 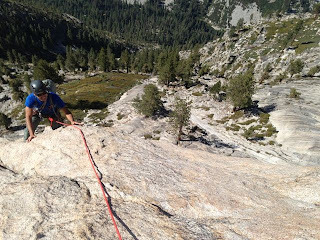 Check out the Sabre Ridge in Sequoia NP. Tough contest which is better. Either way, Charlotte Dome should be on every Sierra rock climbers short list. 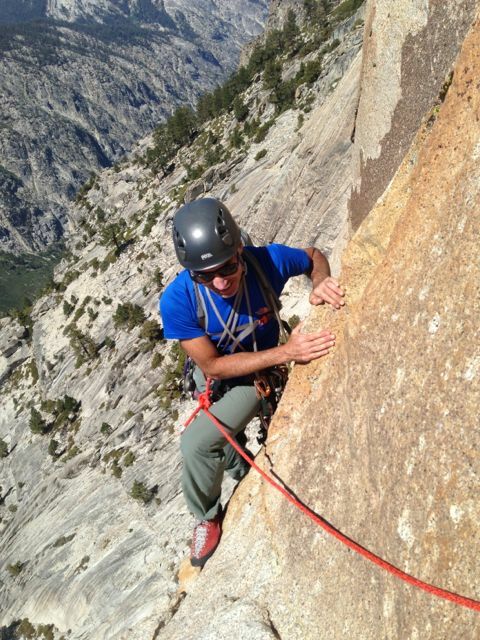 Indeed, I do think it's the best rock climb in the High Sierra. But I'm a splitter (as opposed to a lumper). Plenty of other categories to fill: Best ridge climb, best alpine route, best mixed climb, best day trip, best wilderness link-up, best newly-trendy-route-in-the-middle-of-the-range, etc.